Email your FADS Photos to LeslieRaulin@gmail.com to have your photos posted on the FADS web site. 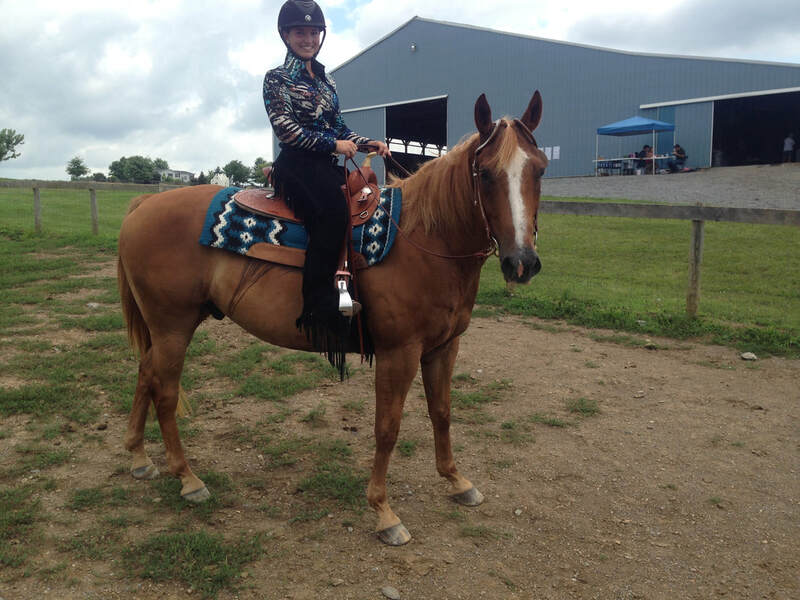 Include a caption with the rider name, horse name, FADS show, and other information about the horse and rider. Ensure the email subject line is very clear that you are sending FADS Photos. Grace Lotsikas and Stephianna at the FADS at Troupe Run Stables show on September 30, 2018. 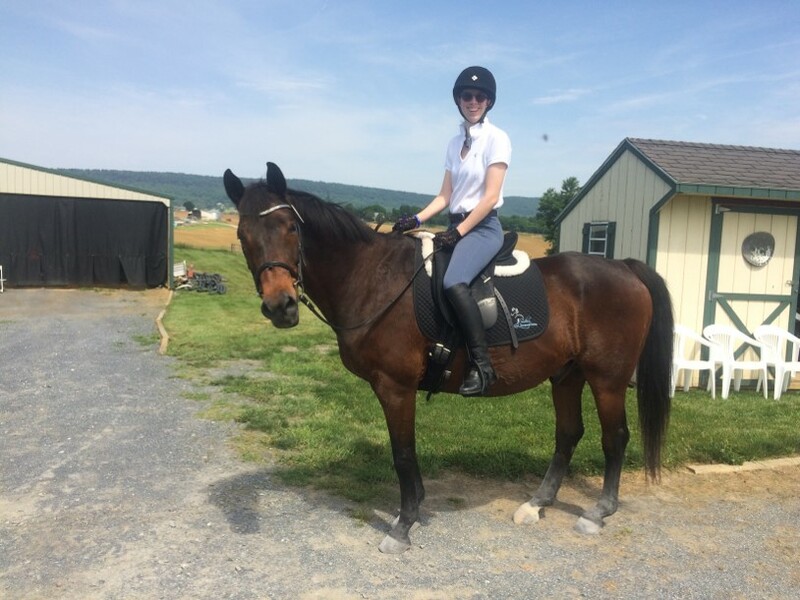 Grace is very pleased with Stephianna's progress after recovering from an injury. 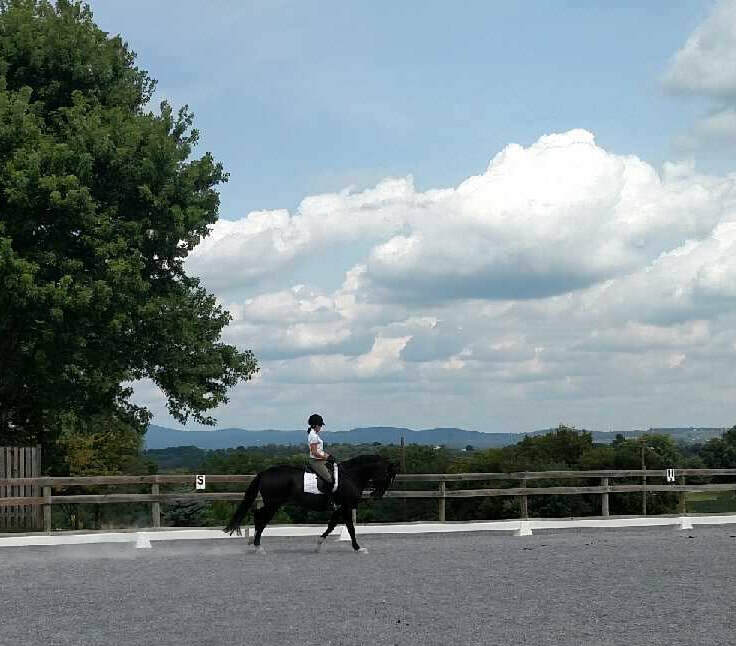 They were first place at both Intro B and C.
Jo Grigsby and Zantana warming-up at Blue Horse Farm. Erin Hudson and L'il Red at the FADS at By Chance Farm show on July 23, 2017. Note the fancy sparkly tack and riding outfit. Also note the safety helmet with the western tack. Yay! Meredith Leach and Bert enjoying the show! Krista Martinko with Mythic Juma and Jen Drescher with Blue and White Raven enjoying their FADS blue ribbons earned in Fourth Level TOC (Test 1) and FEI TOC (Intermediaire I), respectively. Great rides! 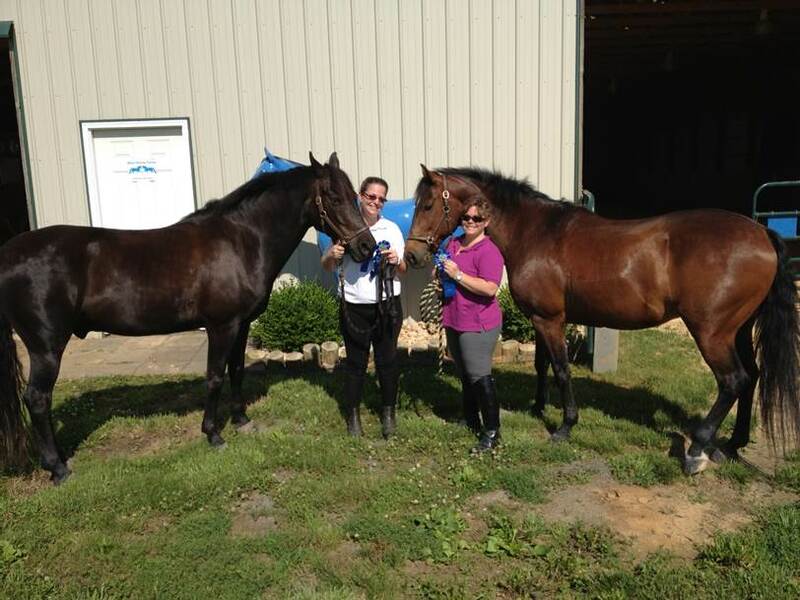 Riders and their horses enjoyed the wonderful weather for the FADS at Blue Horse Farm show on Saturday, August 24, 2013. 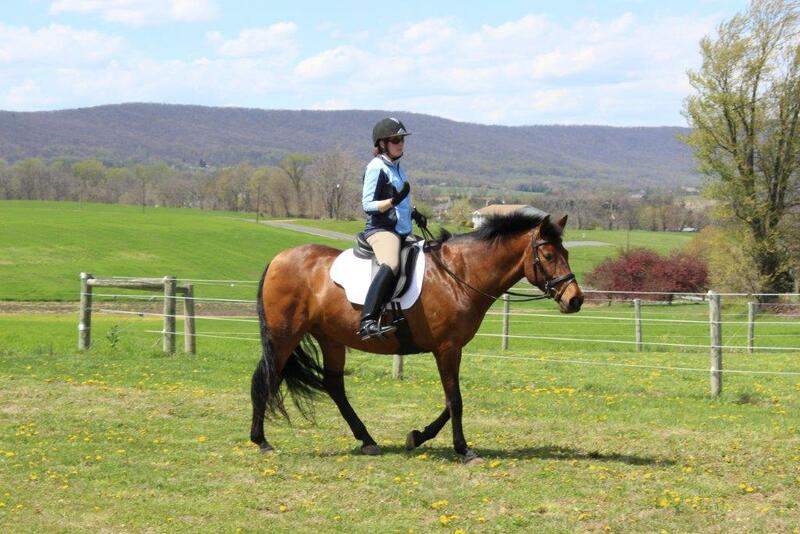 The show earned $1,086.55 for the Frederick County 4-H Therapeutic Riding Program. Benefit for the Cystic Fibrosis Foundation - Total Donation $1465!! 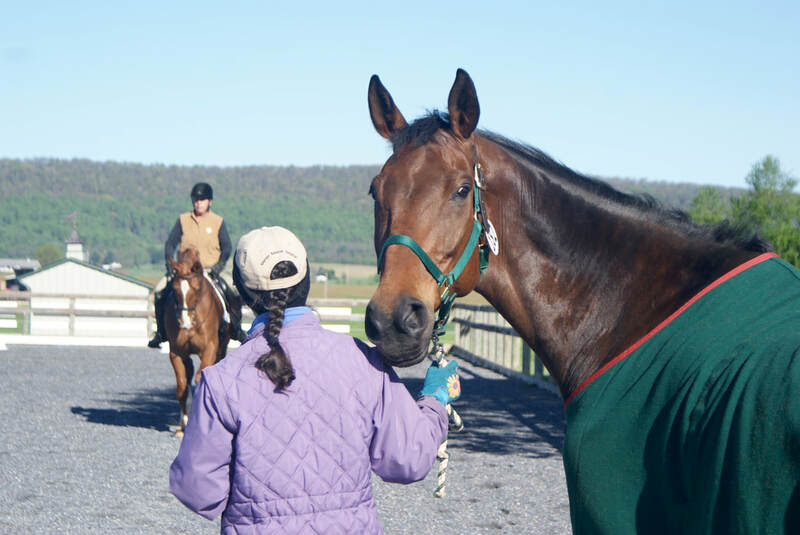 Rachael Rosenfeld and Valencia relaxing after their rides.